Hi. I’m Peter Riches, DIO Project Manager working on the new Defence College of Logistics, Policing and Administration (DCLPA), a £300 million tri-service facility that DIO is building at Worthy Down in Hampshire. The site here at Worthy Down is currently home to the Adjutant General’s Corps, the Defence School of Personnel Administration and the Food Services Wing of the Defence Logistics School, but by the end of the project in 2020, the new College and facilities being built at Worthy Down will see personnel from the Royal Navy, Army and Royal Air Force all training at Worthy Down. I wrote a blog earlier this year and since then there have been a number of noticeable changes on site as new buildings have been completed and handed over. The most recent building to be completed is the flagship main college building. This modern, eye-catching building provides a mix of classroom and practical training facilities for up to 1,500 students. 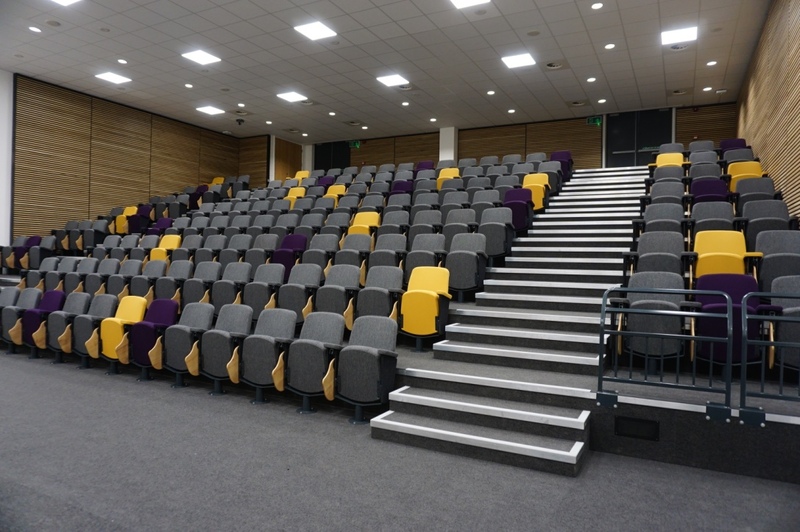 It has 373 rooms, 70 classrooms, 2 impressive lecture theatres and a café. 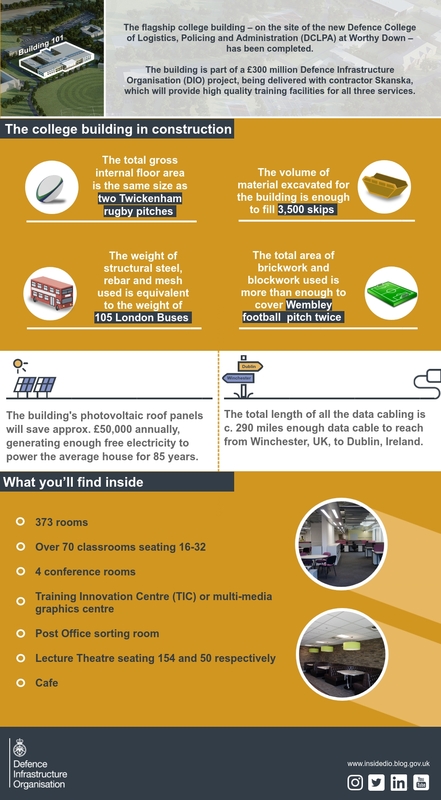 Check out our infographic below to see some facts that lie behind the construction of this building and uncover the facilities that can be found inside – it’s impressive! In addition to the main college building the new Catering, Retail and Leisure (CRL) facility has also been completed and handed over. The CRL is the social hub for Junior Ranks’ and is the central meeting place and leisure facility for permanent staff and visiting students alike. It includes four bars, a large dining room, kitchens, recreational activities i.e. food court and shopping facilities. 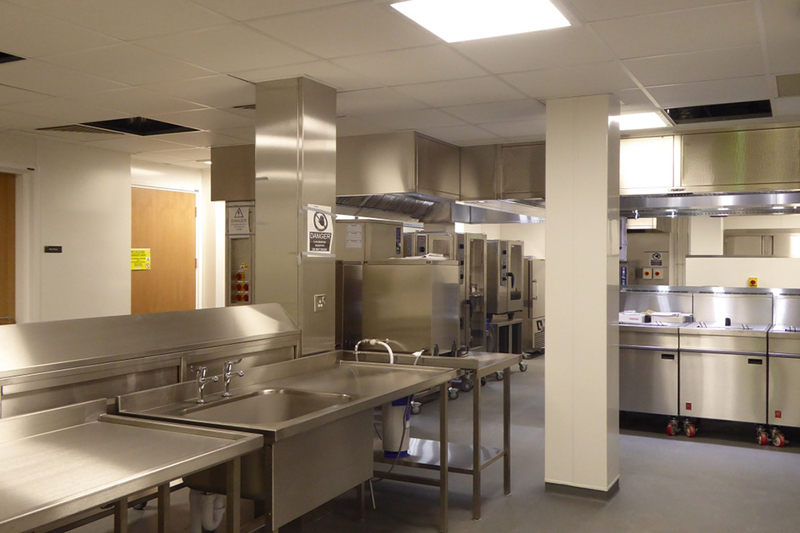 The Guardroom and Quartermasters department have also been completed, and work continues apace on the first of the students and permanent staff Junior Ranks and Senior Non-Commissioned Officer SLA, which will also be finished this year. With HQ Army Recruitment and Training Division, DCLPA and our main contractor Skanska, we’re working on 26 separate buildings across the site. The college will provide a mix of classroom and practical training facilities with associated living accommodation for up to 1,600 students and permanent staff. The new accommodation will offer Single Living Accommodation (SLA) for Junior Ranks, Senior Non-Commissioned Officers (SNCOs), and Officers – all with free Wi-Fi. Trainees will also enjoy a new gymnasium offering updated sports and recreation facilities, Officer and SNCO Messes, as well as other supporting amenities such as a new Medical and Dental Centre with a physiotherapy department. The Royal Logistics Corps’ museum will also move from Princess Royal Barracks at Deepcut, Surrey, to Worthy Down in 2020. Construction is being carried out in three consecutive tranches to allow military training to carry on uninterrupted, with new buildings being occupied as soon as they are ready. This releases the old buildings for redevelopment. Tranche one will be complete later this year. Skanska has had great success with nesting birds on site. This year, we have four nests on site, three blackbird nests and one Robin nest. Works on site were amended as necessary, to prevent any disturbance to the birds and the chicks have now all hatched and fledged. 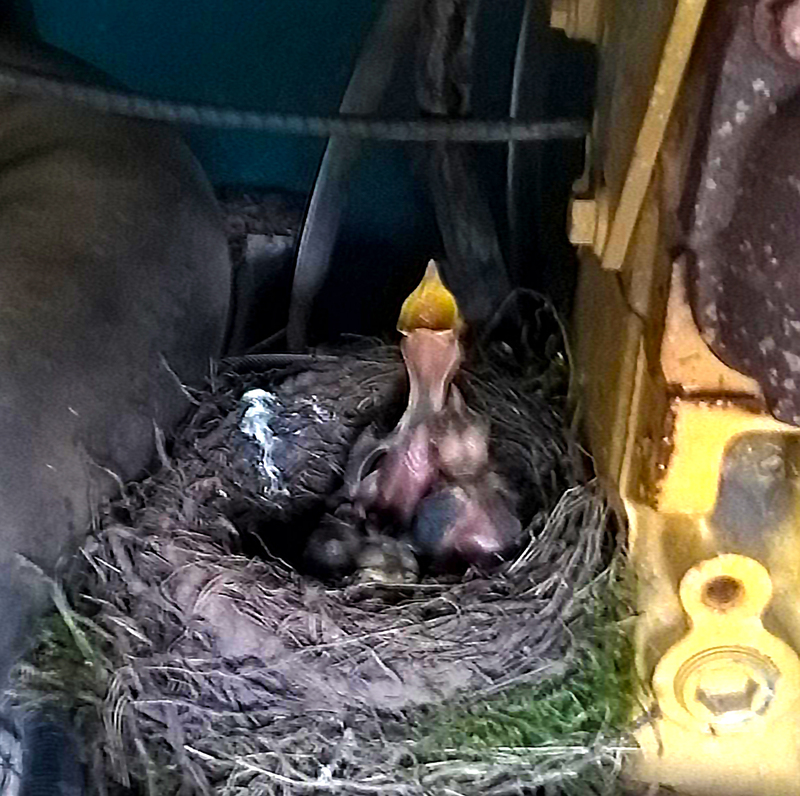 The prize for the most unusual location went to the female blackbird who decided to make her home in the engine hatch of a topsoil grader. Instead of taking demolition waste off site, the team crushed and reused materials from the demolition to make useful crush which could be used on the project. In total, 11,800m3 of crush was created and used for a wide range of purposes including: crane and piling mats, the formation of slabs, temporary haul roads and backfill. By reusing this material, we saved around £100,000 in waste disposal costs. We also saved around 7.24 tonnes of carbon by not having to take the demolition waste off site and bring in crush from elsewhere. This also improved site safety by reducing the amount of vehicle movements on site and deliveries to site. Once complete, the college will enable the MOD to train personnel more efficiently and effectively so that they can provide the best possible support for military operations. Moving the three services' training to one site also allows savings through economies of scale, shared resources and technology, enabling the military personnel from the three services to learn from each other and also allows for site disposal. As tranche one ends and tranche two begins there'll be plenty more happening at Worthy Down in the coming months, so watch this space for future updates on this exciting project. Maintaining the balance: Public Access versus Public Safety?